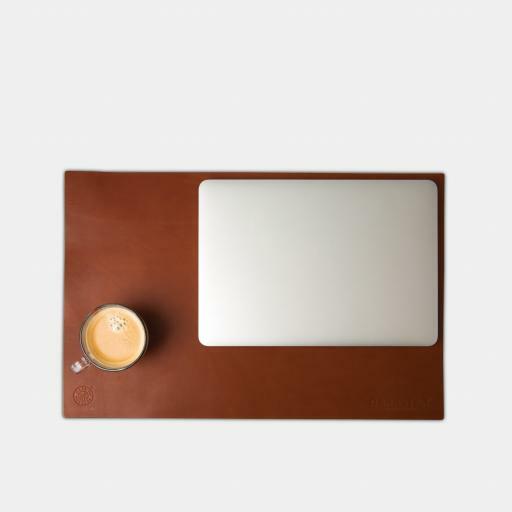 Leather desk pad cut from single piece of premium veg-tanned leather. Measures 20"x13". Available in black and tan. A refined and attractive foundation to work on, our premium leather desk pad will build character over time and use, creating its own story. 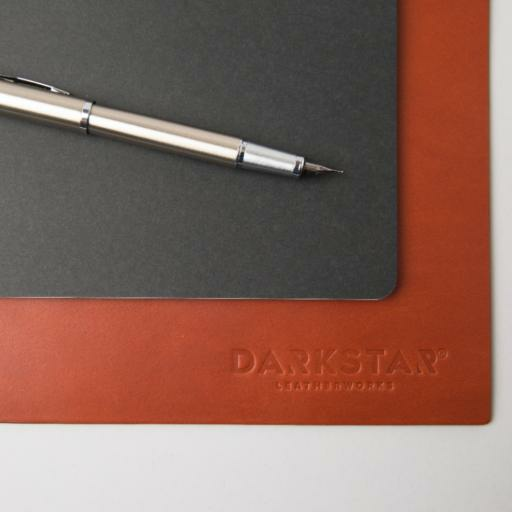 Cut from a single piece of premium veg-tanned leather and finished to a high standard, it will add a handsome & sophisticated surface to your home, office or studio workspace. We only use a high quality, naturally tanned leather, resulting in each piece having a unique grain pattern and tone.